Healthwatch Milton Keynes is hosting the Women & Theatre’s production of Phyllis, a play that presents the story of one family navigating the complex system of older people’s care as they try to work out the best way to look after their ageing mother. Health, social services and the wider community all share responsibility for stepping up to the challenge and providing sustainable, dignified care in the last part of our citizens’ lives. Phyllis, 80, is managing with the help of her daughter and granddaughter but since the death of her husband and the cuts to community support in her area, her life is becoming smaller. On one of her daily trips to Morrison’s, she falls and ends up in hospital. The play documents Phyllis’ decline and her family’s struggle to navigate health and social care systems. To book your free place email bookings@healthwatchmiltonkesynes.co.uk or call 01908 698800. Healthwatch England are launching a new monthly bulletin for health and care professionals. It will be highlighting themes from their research, sharing good reporting from across the network, as well as opportunities for service improvement. YiS has secured its first ever London Marathon place! Rachel Langridge of the Wilson House Dental Practice will be running on our behalf this April and is attempting to raise an incredible £2,500 for us in the process. Click the link below to support Rachel. Over 11,000 people shared their experiences and views with Healthwatch England between October and December 2018. Our role at Healthwatch is to find out what matters to the public and to ensure their views shape the support available. Healthwatch England have created a briefing which highlights what the public are saying about four main areas of care, and how they’re using local people’s experience and views to shape health and social care policy and practice across the country. Click the link below to find out what the public have been telling Healthwatch over the last three months. Issues highlighted included those around continuity of care, choice in antenatal and postnatal services and access to help, and information and support after giving birth. Click the link below to find out how Milton Keynes University Hospital compared to other trusts. This week Healthwatch Milton Keynes was invited to a development workshop about the new Whitehouse Premises in the Western expansion area of MK, which will include a new medical centre. Community space will be available on site and we suggested that local health and care leaders invite the public to have a say about what they would like to see available for them at the centre, and how the new premises can support their vision for their community. We are currently waiting for more information about how this public engagement will develop. I would like to welcome Sheila Thornton, who has become the new independent Chair for the Mental Health Partnership Board. On Wednesday we held the second Mental Health Partnership Board since we took over its facilitation. At the meeting we were joined by Michael Farrington, BLMK STP Mental Health Improvement Manager, who gave an interesting presentation on the key priorities for this year. If anybody would like access to the PowerPoint presentation, please let us know. We are still recruiting for an independent Chair for the Dementia Partnership Board. If you are interested in this role and would like to know more, please contact us for more information. Yesterday I met Vanessa, Attain project Manager for Transitions UK, a charity working with disadvantaged young people aged 15-25, to support a positive transition to a happier, more inclusive and more productive life as young adults. It was particularly encouraging to hear about the support that Transitions UK are offering young people in Milton Keynes who are leaving care. We had fruitful discussions about how Healthwatch Milton Keynes can link with young people who are leaving care and learn more about the health and social care issues that they face as they transition towards independence. We look forward to working with Transitions UK in the future as we develop our relationships with young people in Milton Keynes. Peta Wilkinson (CEO of Willen Hospice) and Tim Davies (CEO of Camphill Community Milton Keynes) would like to invite you to a Health and Wellbeing Information Surgery. The Information Surgery will take place on Tuesday 12th February 2019 between 2:00 and and 4:00pm at Camphill. NHS Milton Keynes Clinical Commissioning Group (MKCCG) is responsible for the commissioning (buying) of health services for the local population. 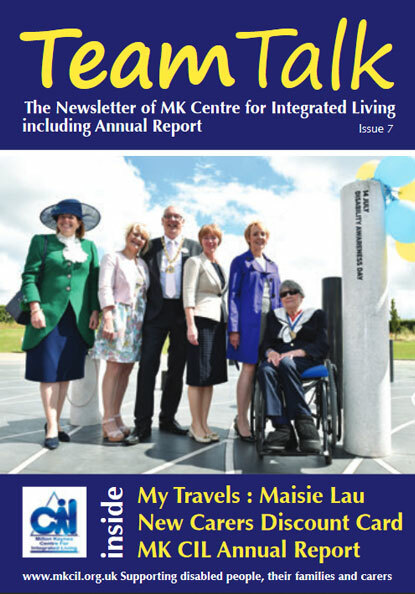 MKCCG want everyone to have a positive experience of health services in Milton Keynes. Listening to the experience of patients, carers and staff can help them to improve local health services and how people experience them. If you have used the heart failure service within Milton Keynes, please share your experiences via the link below. This valuable insight will be used in their review of services in the future. The survey will take two minutes to complete and the feedback will be completely anonymous. The National Institute for Health and Care Excellence (NICE) produces guidance on the most effective ways to prevent, diagnose and treat disease and ill health, and provide social care support. The guidance is based on research evidence and takes into account the views of people working in or using relevant services, and other stakeholder groups. Recruitment is open until 5pm on 25th February 2019. Click the link below for more information. Once a month GP Surgeries across Milton Keynes close for the afternoon so that all staff can attend vital training sessions. This Protected Learning Time (PLT) is an opportunity for practice staff to address their own learning and professional development needs. For example, this month staff were offered training on how best to support LGBTQ+ patients and those beginning gender transition journeys. If you need medical advice during this time, it is always best to ring 111 first, and they will be able to assist you. The Urgent Care Service rotas extra staff during these times to ensure people can access the care they need. Do you want to learn more about how to support a loved one with autism or someone you work with? Autism Learning Days offer the opportunity for parents and professionals to learn more about autism , from those who know what it is like to live with this condition.